Ring Of Honor has managed to lock down Ian Riccaboni to a new multi-year contract. 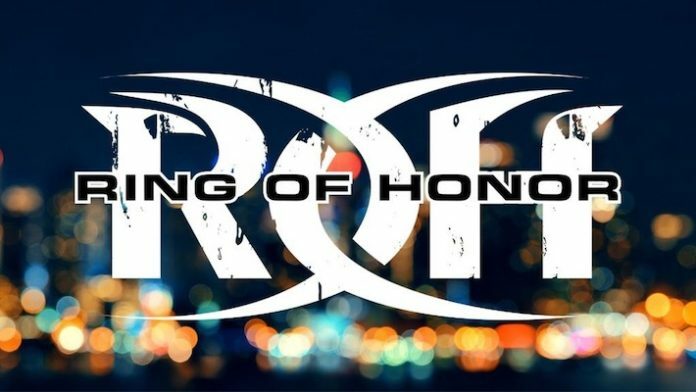 Ring Of Honor (ROH) has been on a mission recently to lock down future talent to their roster. This has come in the wake of All Elite Wrestling, which saw The Elite leave ROH’s ranks. However, it’s not just in-ring talent that ROH wants to keep. Their efforts have also extended to on-air personalities. According to PWTorch, Ring Of Honor has managed to lock down their lead commentator, Ian Riccaboni in a new multi-year contract. Riccaboni signed with the promotion last April but had an opt-out clause written into his contract. This clause would have allowed him to negotiate deals with other companies next month. He would end up staying with the company, where he has become a mainstay since first joining in 2017. He would follow it up saying, “I guess this means I’m #goingtothegarden?” in reference to ROH’s upcoming event, G1 Supercard. This show is a co-promoted event between ROH and New Japan Pro Wrestling.
.@ringofhonor means the world to me; the wrestlers, the crew, and the fans. We're a family. I approached our office and producers about staying. They shared the same sentiment. I am excited to announce that I signed a mult-year deal to stay with ROH. Happy wrestling, indeed! It’s worth noting that ROH managed to keep Riccaboni despite apparent interest from both All Elite Wrestling and WWE had he become a free agent.